From the land of eagles, a new and powerful voice takes flight. Frederik Doci, an Italian/Albanian hailing from the lakes and mountains of Albania’s historic Shkodra, is on a mission to capture the hearts and minds of music lovers everywhere. Doci has electrified the stage all over the world with the voice of Caruso, the heart of Elvis Presley and the soul of a gypsy. Not only does he scale the operatic heights of his deep baritone and enchanting tenor range, he also melts hearts with his seductive and sensual romantic voice. What sets Frederik apart from the opera stars and crooners is his versatility as a multi-instrumentalist and accomplished songwriter. The world will discover on Frederik’s fourth and latest CD, Canterina, that he not only sings the language of love, he performs songs in six different languages. After a brief career in acting, Frederik’s recording debut came out of Italy where he played guitar and sang with Pagina d’Album. The album Canta Frederik was well received in Italy and the subsequent video was aired on several TV stations there. 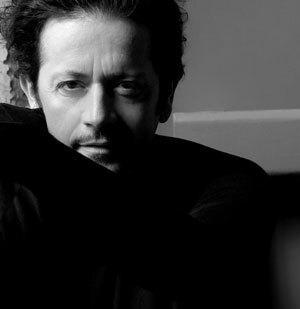 Frederik made inroads with his second CD Sono Gitano, when it became a best seller in Italy. The CD continues to be a best seller in Frederik’s home country and parts of Eastern Europe. After invitations to several major events, such as the Peace Festival in Romania, where he sang a song for the late Mother Teresa, the Miss Europa pageant, and other key festivals, Frederik set sail for the U.S., landing in San Diego, California. It was here that he was courted by the Christian College Heritage and commissioned to record his third CD, Frederik and Friends. Featuring American Christian sacred songs, Frederik took the bold step of doing his first project in English. Frederik’s new CD features songs in English as well as Spanish, Italian, Greek, French, and naturally, Albanian. The album captures all of Frederik’s influences: classical, folk, gypsy, pop, and rock. He fuses it all into one world-class project. The album was produced by George A. Gesner of GAG Order Productions and recorded at Manhattan’s Magik Music with renown programmer/sound designer, Harold Stephan (Amelia’s Dream) plus an international, world-class cast of musicians. The project was mixed by Miklos Malek (Anastacia, Jennifer Lopez, Celine Dion) and mastered at Sterling Sound with famed engineer Tom Coyne.